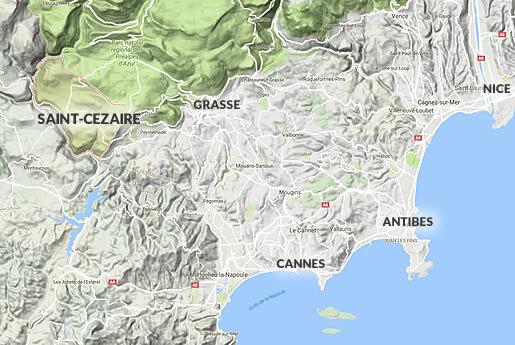 To buy or sell on real estate in Saint-Cézaire-sur-Siagne and the surrounding villages: Le Tignet, Cabris, Spéracédès, Peymeinade and Saint-Vallier de Thiey, your real estate agent : Agence du Haut Pays will meet all your expectations. Our selection also includes apartments, mas, bastides, properties, lands and village houses for sale. You will find many offers such as villas with swimming pool and apartments panoramic view or quiet. Our real estate agency in Saint-Cézaire-sur-Siagne is the specialist in real estate in the area and has a real expertise in market prices. When estimating properties, we advise the owner and find together the best conditions for sale. ​The assets of the real estate agency in Saint-Cézaire-sur-Siagne, the Agency of Haut-Pays, are a personalized accompaniment, an independent sign, fast, a situation ideally placed in the village and an experienced team. We offer our clients, sellers as purchasers, a perfect unity in terms of legal knowledge, professionalism and especially follow-up and assistance, until the signature of the authentic deed before a notary. Our long experience and our numerous sales in real estate in Saint-Cézaire-sur-Siagne, Spéracedes, Cabris, Peymeinade and Le Tignet are the best guarantee of efficiency. The purchase of a property is a well-considered decision that often represents "the purchase of a life". We do not always think of all the temporal or financial parameters to be taken into account. The advice of a real estate professional can help you avoid unpleasant surprises. A local actor will be more able to inform you about the specificities of the sector sought. Consult our real estate listings and subscribe to our email alert to be informed of the new products that correspond to you as soon as possible, knowing that a good deal does not wait.